Montezuma County may need to tighten its belt next year, thanks to declining revenues from oil and gas production. Montezuma County Assessor Scott Davis says tax revenues from Kinder Morgan, which is the county’s largest taxpayer, could be down as much as one-third this year. That estimate is based on royalty checks the carbon dioxide company pays to the county on a monthly basis. A recent study by the University of Colorado’s Leeds School of Business predicts that oil and gas producers will cut production statewide because of declining energy prices. School districts will recoup their lost revenues through the state, but Commissioner Larry Don Suckla says Montezuma County will feel the hit, especially because it is one of only a few counties statewide that have no sales tax. And in a move the commissioners hope may offset a little of the decrease, they have appointed a new fleet manager to oversee vehicle operations and maintenance. Clint Watson, currently fleet manager for Weeminuche Construction, was the county commissioners’ unanimous choice on Monday. He will receive a salary of $67,000 for a one-year contract. The board had decided that developing a fleet-management program would be more efficient than continuing to let each county department manage and maintain its own cars and trucks. 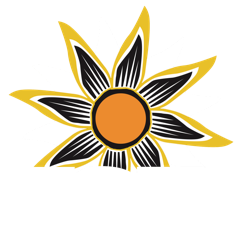 Commissioner Suckla tells KSJD Montrose County saved approximately half a million dollars annually by making such a move.